There’s nothing quite like an afternoon spent outdoors, tailgating with friends before a big event, on a crisp, fall day. 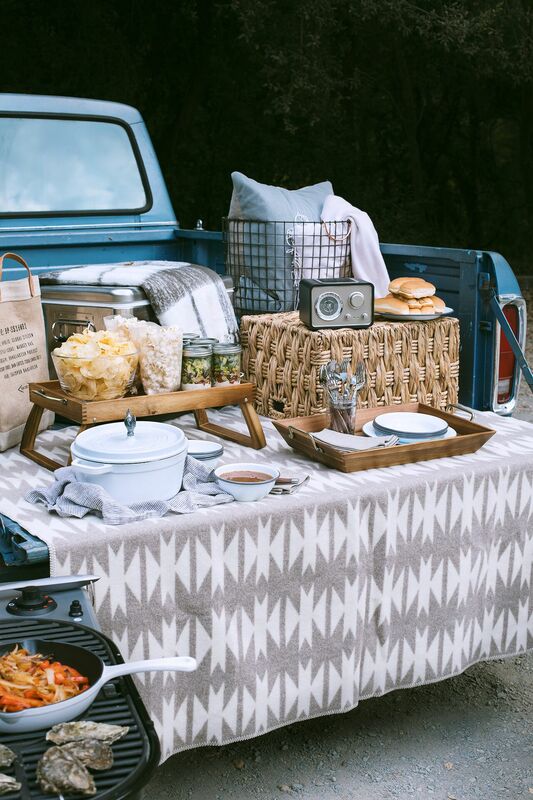 Today we’re showing you how to plus up your tailgate, while still keeping some of the old school traditions alive. 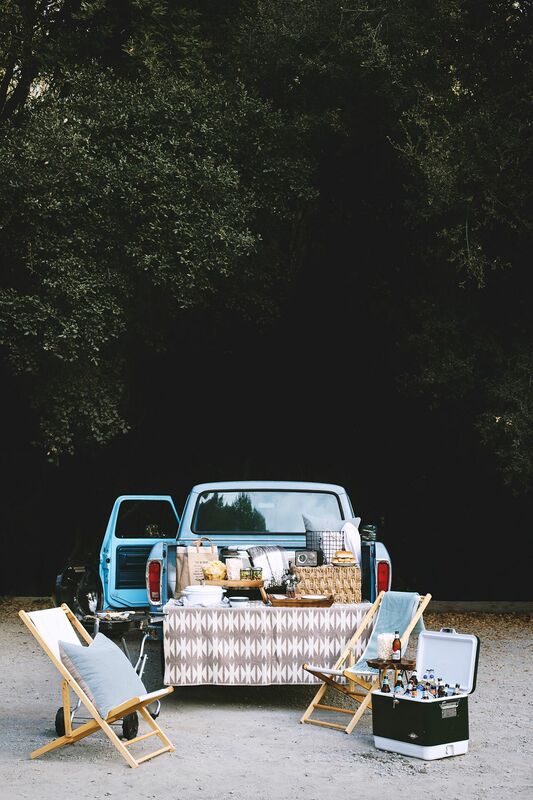 It’s surprising how easy it can be to elevate your tailgate with just a couple of upgrades that will certainly make your space stand out and be the place that everyone wants to be. 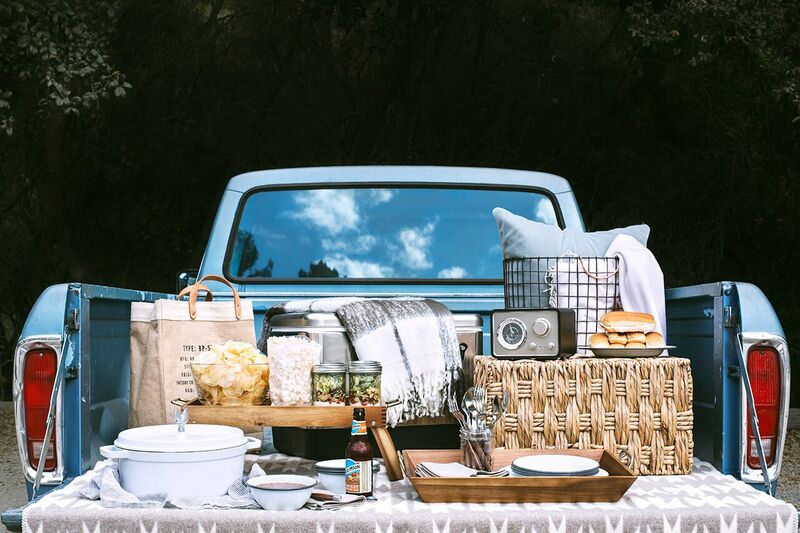 So go ahead — find that perfect parking spot, fire up the grill and crack open a cold one– tailgating season is here. 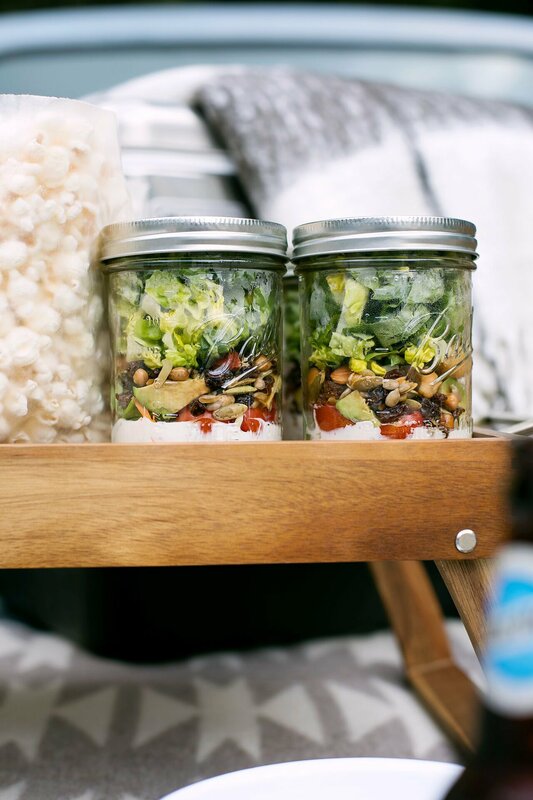 Contain the freshness: Jarred salads are perfect for tailgate parties. Not only can you prepare them the morning of, they’re portable and mess free! Layer by putting dressing in the jar first, then the roughest of vegetables and lettuce last. 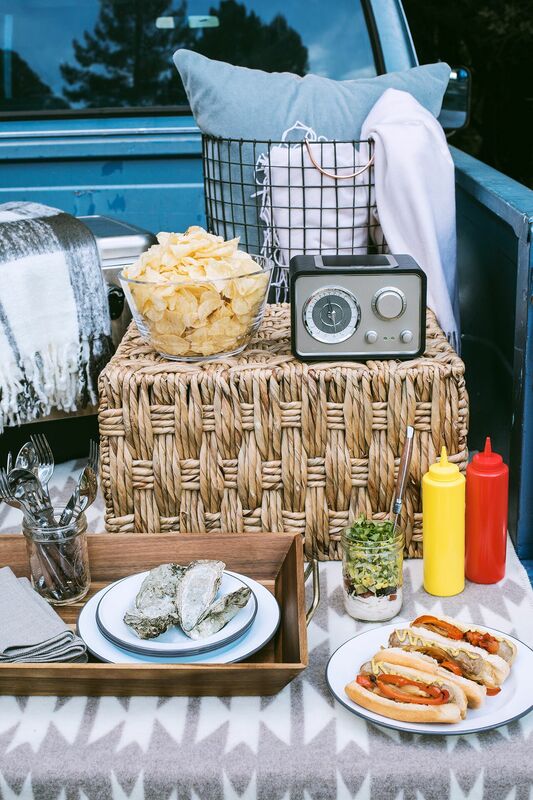 Take it to go: We all know the best part about tailgating is mingling with other tailgaters! 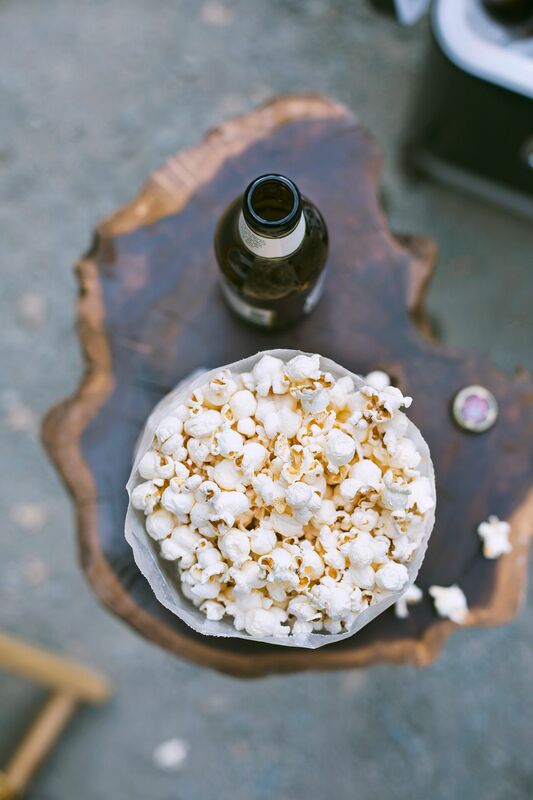 Bring along some small waxed paper bags so you can pack up snacks, like popcorn and chips, to go. 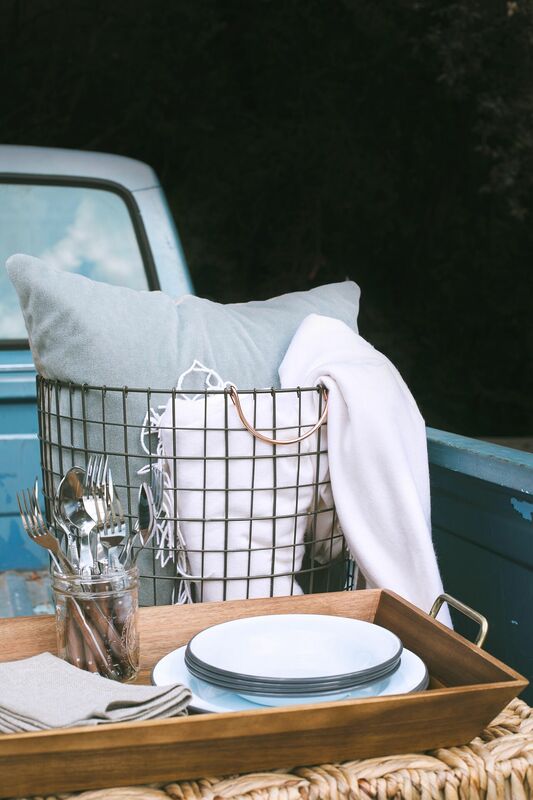 Cozy vibes: Lay out folding chairs and keep a basket of throw blankets nearby in case it gets chilly. Kick back and stay for awhile. Get creative: Don’t limit your menu to just hot dogs and hamburgers. 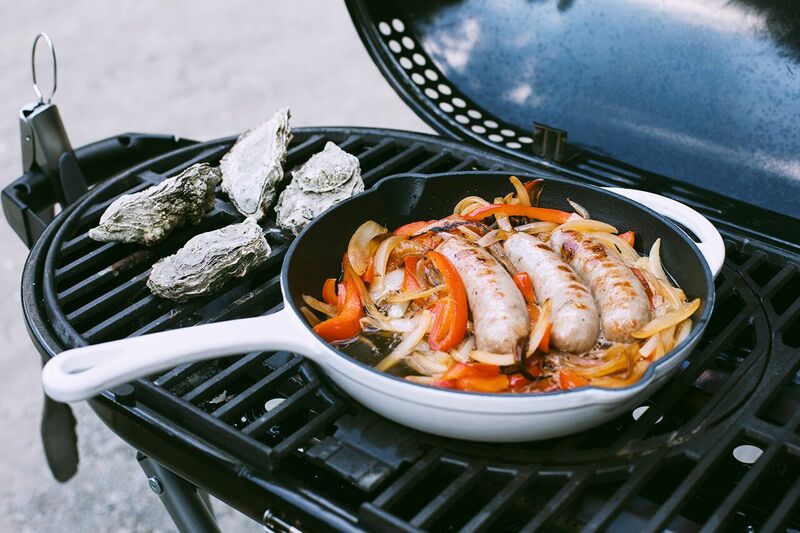 Oysters are great on the grill. Also, a cast iron skillet is perfect for sautéing vegetables or even ground meat for tacos. 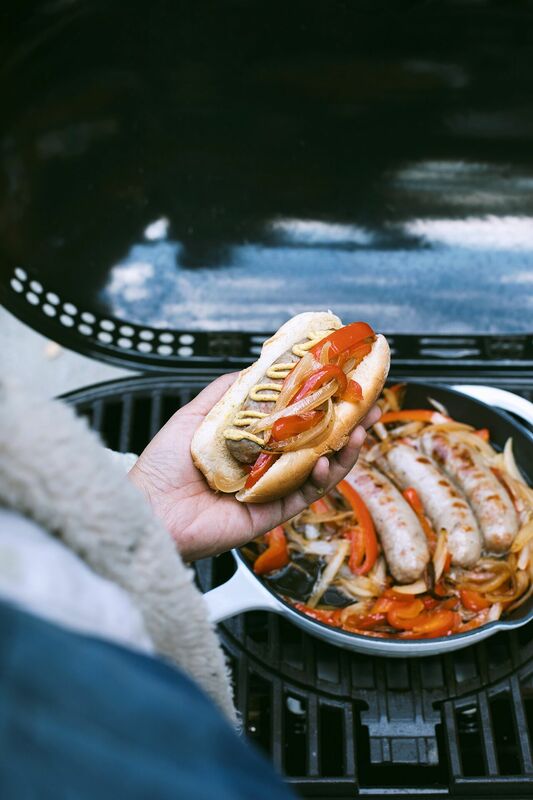 We like caramelizing onions and peppers and then finishing them off by braising partially grilled sausages in the pan. You can also keep your guests warm with a large pot of stew or chili. It’s a great make-ahead dish that you can put directly on the grill to reheat. 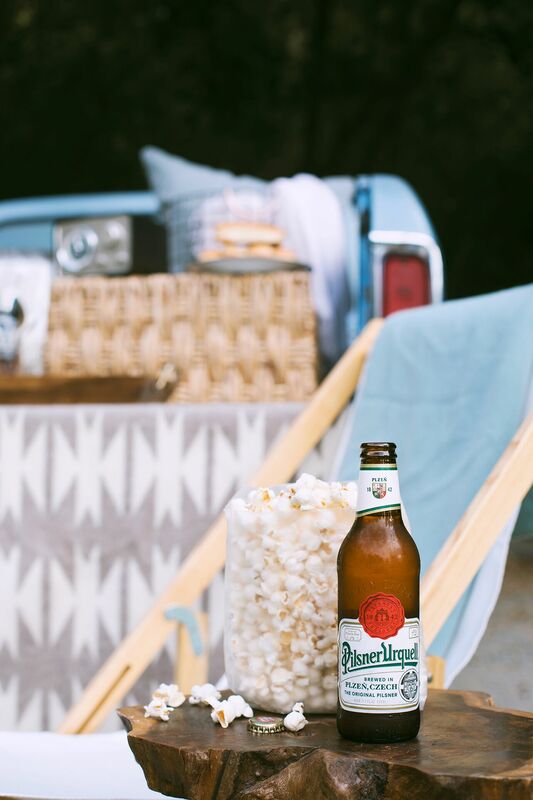 Mix up the beverages: This allows everyone to try different varieties such as crisp cider or seasonal fall favorites– both great options for tailgates. And whatever you do, don’t forget to ice down the beer. 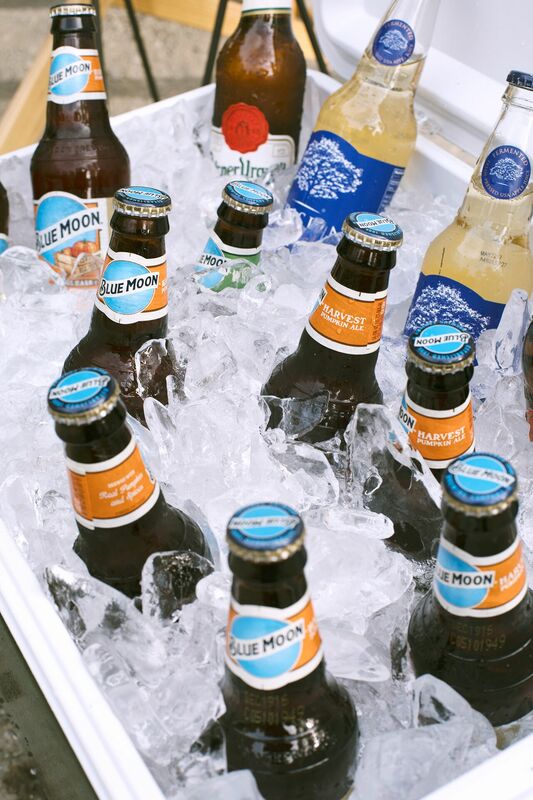 Even in the chilliest of weather, everyone loves a cold beer. Can you please share the source of the bag with the writing on it? Love this whole idea! 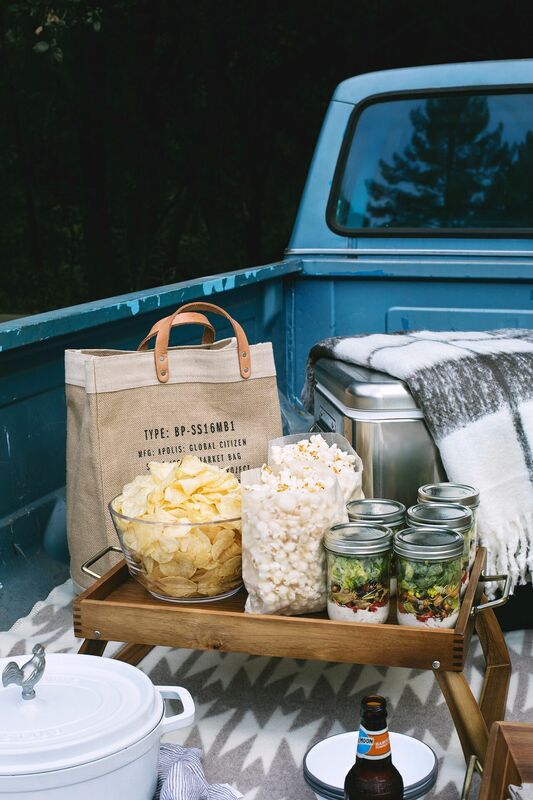 Love your tips and ideas for a fun and easy tailgate. I will use some of this for an outdoor party, like the salad in a mason jar! OMG how do I get invited to THIS tailgate?! Styling, food, beer…. All perfection!